It’s a good thing AJ McWhorter is organized. 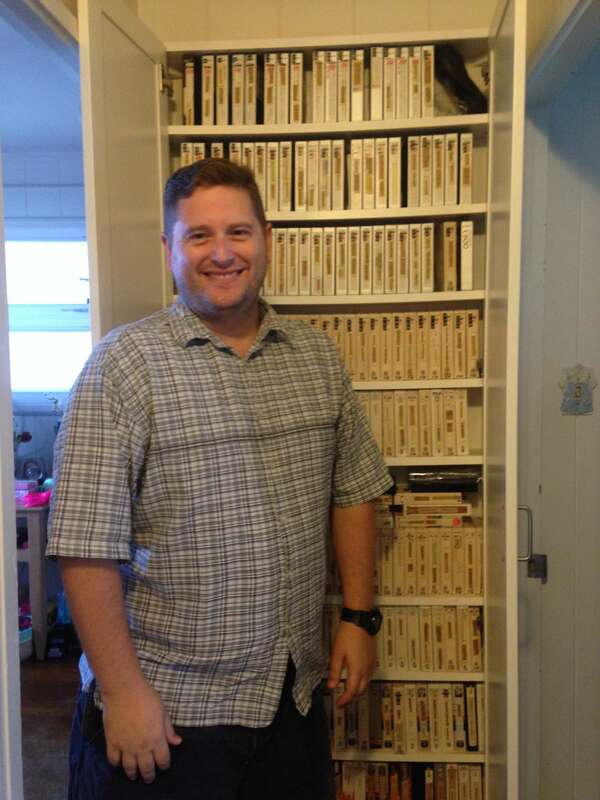 When this collector of old videos told me he had a library of more than 5,000 tapes and DVDs, all stored in his compact Kalihi home, I had to wonder where he stored it all. This is not his vocation. This is his avocation. “Preserving television is something I enjoy doing and have been doing for most of my life,” he laughs, when I ask why he dedicates so much of his energy towards this. McWhorter proudly points to more than a dozen custom-made cabinets lined wall-to-wall, floor to ceiling, in his dining room and hallway. 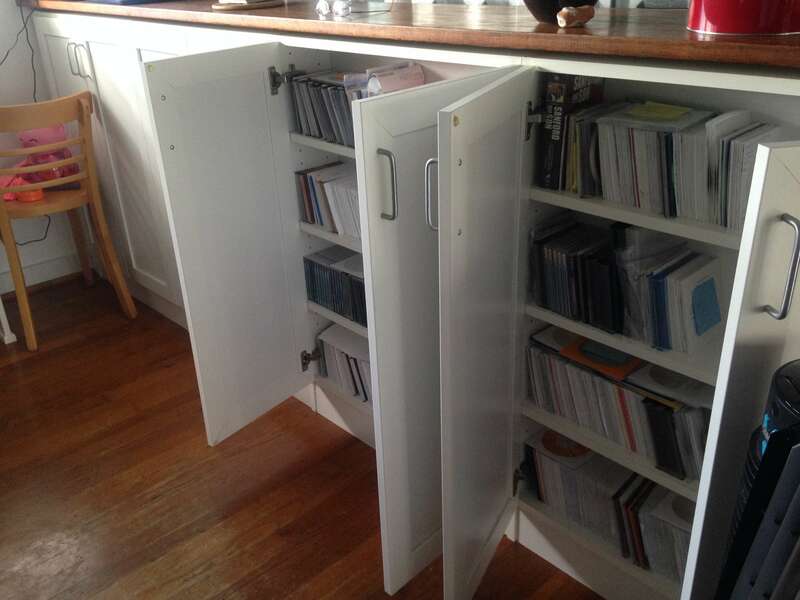 He flings open some of the doors to show me his tape library. 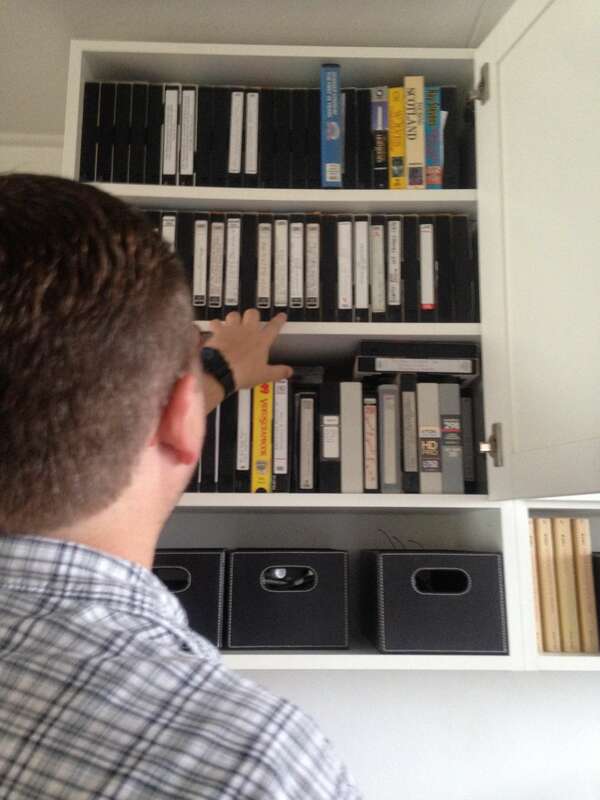 The collection reads like the history of television, with analog tapes from every generation of newsrooms: VHS, Beta, U-Matic, and 2-inch Quad tapes. 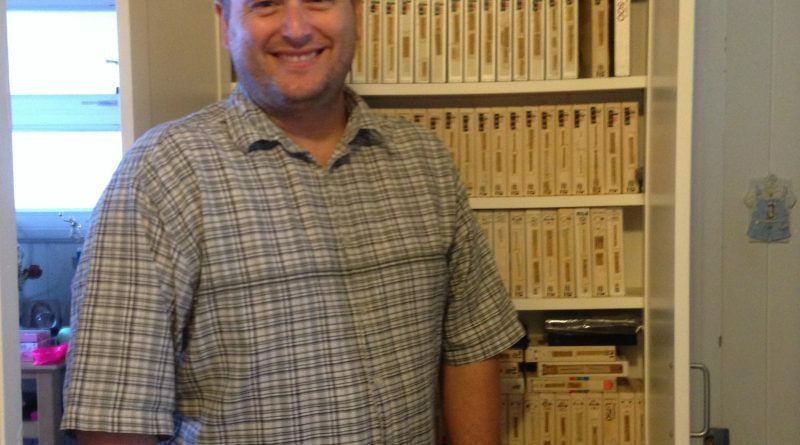 He lets me peek into his master bedroom, where there are more tapes and tape decks. 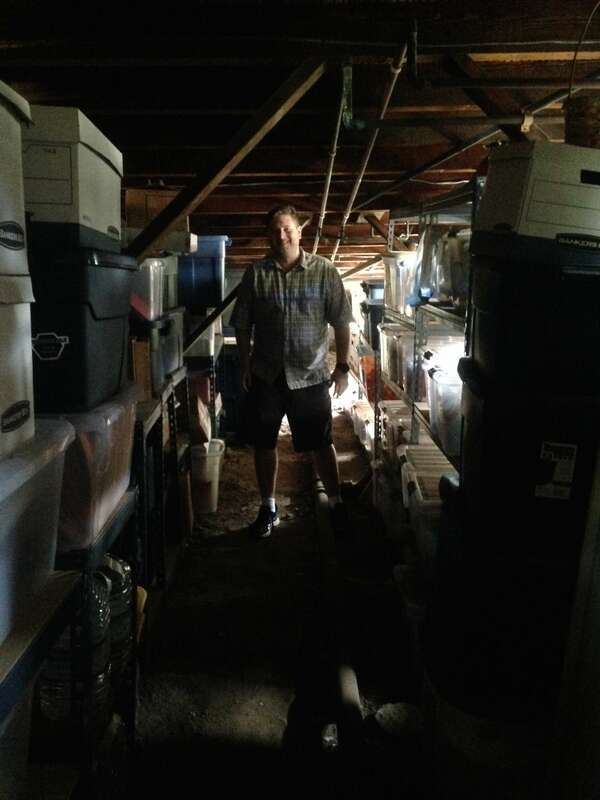 Then he brings me under the house, where dozens of plastic storage bins and a couple of storage sheds guard even more of the precious bits of history. He is an obsessive documentarian, an old soul in a younger man’s body. “I’ve always been interested in history, especially eras I just missed, or was in but was too young to understand what was going on,” he says of his fascination with the past. Now 46-years-old, McWhorter began this hobby when he was still in grade school in Chicago. He started recording shows he liked, so most of it was the local news. “I love the ability to go back in time and watch something that I’ve never seen before, or relive something I want to see again,” explains McWhorter. When McWhorter was 12, he and his mother moved to Arizona, where he completed his high school and college education. He continued taping local shows. In 1995, while still enrolled in Northern Arizona University, he got an unexpected call from producers at PBS Chicago. Segment producers heard about his tape collection through a mutual friend and requested footage for a show they were creating. “I was floored to hear from them because they were the PBS station I grew up watching as a kid, so to help them out- that was great. 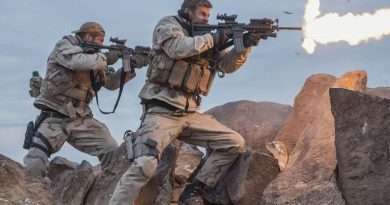 That kick started things for me in terms of people and places reaching out to me for footage they no longer have,” McWhorter says. After college, McWhorter moved to the Pacific Northwest to work for Oregon Coast Magazine. A couple of years later, in 1999, he relocated to Hawaii to be with his girlfriend, Lisa. Of course, the tapes and viewing decks came along. McWhorter was now working remotely, but still for Oregon Coast Magazine. In his spare time, he immersed himself in – what else? – local TV history. 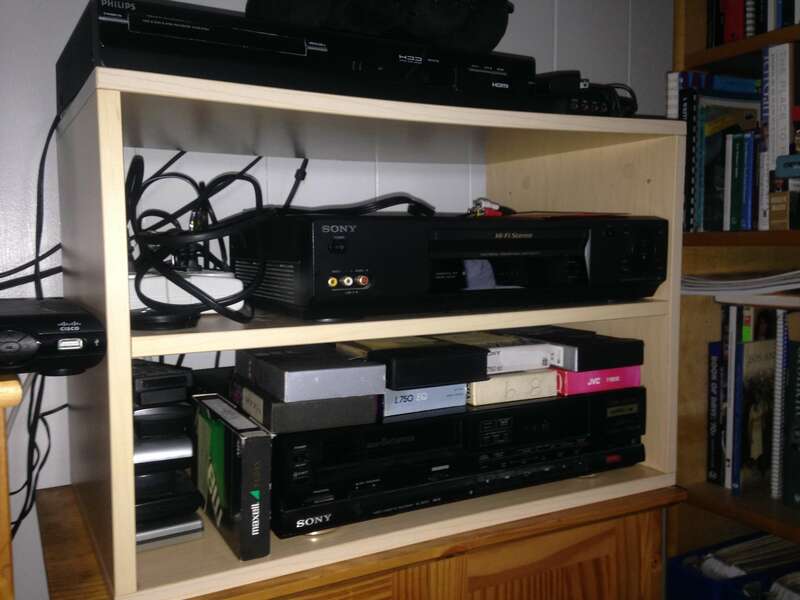 “That meant countless hours at the library reading newspapers and old TV guides. I then started collecting Hawaiiana-related local TV footage, like Aloha Festivals parades. 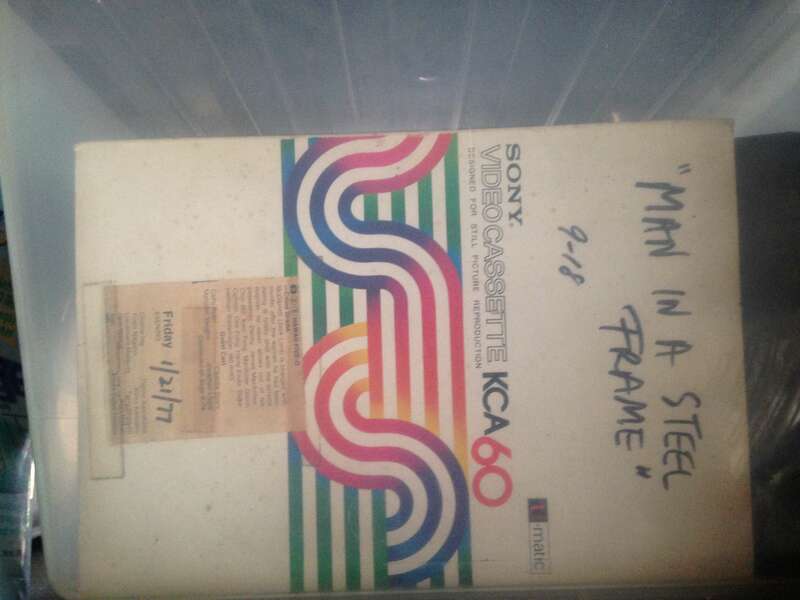 Some fell into my lap, including a chance to buy [actor] Jack Lord’s old Hawaii 5-O videotapes,” relates McWhorter. He then contacted the people in the videos – like newscasters or local celebrities – to see if they wanted a copy. That grew McWhorter’s network – and his resources. “They started to share things with me and would ask me to archive and dub their collections,” he says. There’s a little money in this, but it was never consistent enough to make a living from- especially in today’s digital era, which McWhorter concedes has rendered him as obsolete as the tapes he’s saving. Mostly, he finds joy in reconnecting people to a special moment from their past. “I enjoy sharing with others. Some people did not have machines to record things back then, so I was their only link. “Many people still contact me looking for an old commercial or show they, their kids, or their grandkids were in. Recently, I posted old Tire Warehouse commercials on YouTube, and the man’s (Malcolm Love) granddaughter wrote me to say the family enjoyed seeing it for the first time in decades,” McWhorter says. Tapes in a clear storage container. McWhorter’s reputation grew as “go to” guy for archival footage. Star-Bulletin columnist Burl Burlingame featured McWhorter in a 2007 article (http://archives.starbulletin.com/2007/06/04/features/story01.html), and that’s when the demand for his services took off. McWhorter says newscasters like Lynne Waters and Emme Tomimbang called him for help. That’s also when McWhorter became a name in his own right, securing a space in the same newspaper. “After Burl’s story in the Star-Bulletin came out, I suggested they do a column on media personalities or places. They suggested I just write it,” says McWhorter. Invitation accepted: in 2008, Flashback debuted in the Honolulu Star-Bulletin with McWhorter’s byline. The column name eventually changed to Looking Back, and the media outlet changed in 2010 when Oahu’s two daily newspapers merged to become the Honolulu Star-Advertiser. McWhorter was invested in his assignments. He sometimes flew, at his own expense, to meet his subjects or their family. He traveled all over the country in the name of research, “just so I could get the best perspective of writing about my subjects and taking photographs of them. The paper discontinued Looking Back in 2016, but McWhorter still had so many ideas for stories, so he compiled a book on the history of local television. Published in December 2017, Honolulu Television is available at Amazon.com, Arcadia Publishing, Barnes & Noble, and Costco. At the same time McWhorter was writing for the newspaper, he also dabbled in television. McWhorter says his friend, news producer David Patterson, suggested they do something with some of McWhorter’s footage of the University of Hawaii’s Fabulous Five basketball team from the 1970s- a team so spectacular, they played in the NCAA and NIT basketball tournaments. In 2007, the two helped produce a half-hour special, The Fabulous Five that aired on OC16 (now Spectrum Cable), and sold as a DVD in stores. The foray into television proved interesting to McWhorter, and it grew his name in the local media community. In 2014, KITV4 (ABC) hired McWhorter to co-produce a half hour 60th anniversary special. One thing led to another, and that project led to a few years’ work as a KITV4’s weekend assignments manager. Now, McWhorter was no longer just an observer of media history, but had a hand in creating it. In 2017, he left KITV4 when KHON (FOX) tapped him to co-create its 60th anniversary special. “It was an honor and joy to produce these local station retrospective specials with my mentor, Pamela Young,” said McWhorter. McWhorter’s love for the past keeps manifesting in his present and future. He outlines a few ambitious goals: he’d like to produce a documentary about history of local television that spans news, talk shows, and sporting events. It may take a while; aside from his full-time state job, he is a very involved father to three children. But collecting TV is his passion, and he is motivated to help others remember the past “because we can all hopefully learn from it.” In short, when McWhorter looks back, what he sees is his future. McWhorter’s website is at: https://sites.google.com/site/ajmtvarchives/home.